Prices are sliding; homebuyers are getting wiser. Sales fell by almost a third during the May holidays. It creates a dilemma: financial repression helped blow up the bubble; without it there may be a pop. Still, the case for interest-rate reform is too strong to turn back now. 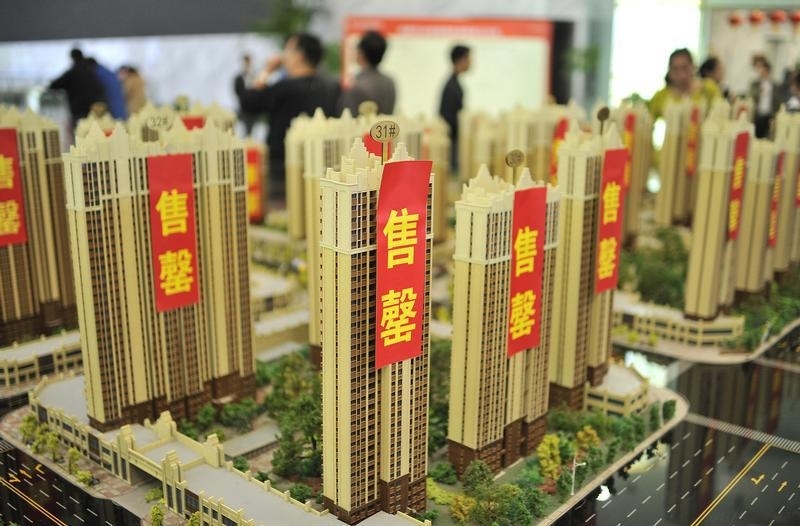 Customers visit a real estate exhibition displaying models of apartments in Hefei, Anhui province, May 1, 2014. Property sales fell more than 30 percent in China’s major cities during the three-day May holiday compared with a year earlier, according to Centaline Group data showing transaction numbers. Year-to-date housing transaction volumes up to May 4 have declined 22 percent from the same period in 2013 in major Chinese cities, according to Credit Suisse. China’s government introduced curbs on house purchases in 2010, including an increase in upfront payments. Many cities imposed restrictions on purchases by non-residents. In April, the cities of Nanning and Wuxi announced loosening of policies such as allowing residents from nearby cities to purchase apartments. Tianjin Binhai New Area was also considering similar moves, according to Chinese state media.